BBC. (2018, August 31). 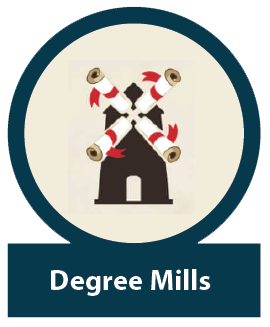 Essay Mills: “One In Seven” Paying for University Essays. BBC News. Børresen, Linda J and Stig Arne Skjerven. (2018, September 14). 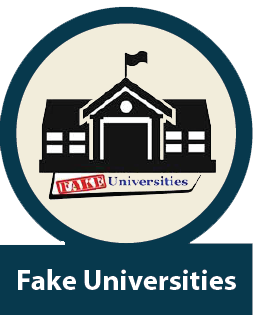 Detecting Fake Degrees in a Digital World. University World News. Bretag, Tracey. (2013). Challenges in Addressing Plagiarism in Education. Carroll, Jude. (2007). A Handbook for Deterring Plagiarism in Higher Education 2nd edition. Oxford: Oxford Centre for Staff and Learning Development. CHEA/CIQG, UNESCO/IIEP. (2016, July). Advisory Statement for Effective International Practice, Combatting Corruption and Enhancing Integrity: A Contemporary Challenge for the Quality and Credibility of Higher Education. CHEA/CIQG Publication Series. Daniel, John. (2017). Why Should Higher Education Try to Swim Against the Tide of Corruption Outside Academe? [PowerPoint slides]. Eaton, Judith. (2016, September 2). Leading the Fight Against Academic Corruption. University World News. Eaton, Judith. (2018, Spring). 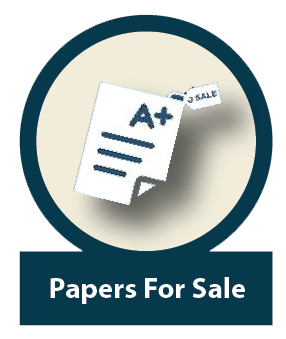 Combatting Academic Corruption: Quality Assurance and Education. International Higher Education. Egron-Polak, Eva. (2017, May). IAU-MCO Guidelines for an Institutional Code of Ethics in Higher Education, IUA Horizons, IUA Horizons, 22(1), 22-23. European Association for Quality Assurance in Higher Education. Belgium. Glendinning, Irene. (2013). Plagiarism Policies in Finland. Full Report. Impact of Policies for Plagiarism in Higher Education Across Europe. Glendinning, Irene, Stella-Maris Oram and Andrew King (2019, February). Policies and Actions of Accreditation and Quality Assurance Bodies to Counter Corruption in Higher Education. Glendinning, Irene. (2014, June 1). Responses to Student Plagiarism in Higher Education Across Europe. International Journal for Educational Integrity, 10(1), 4–20. Havranek, Jasmina. (2016, January 28) Corruption in HE: Can QA make a difference? - The Case of Croatian Agency for Science and Higher Education. [PowerPoint Slides]. Heynemann, S. (2013). Higher Education Institutions: Why They Matter and Why Corruption Puts Them at Risk. Global Corruption Report: Education. Transparency International. (pp. 101-107). International Association of Universities. (2017, May). In Focus: Corruption in Higher Education. IUA Horizons, 22(1). International Center for Academic Integrity. USA. IPPHEAE – Impact of Policies for Plagiarism in Higher Education Across Europe. Kokkinaki, Angelika. (2013, August 23). Plagiarism Policies in the Hellenic Republic (Greece). Impact of Policies for Plagiarism in Higher Education Across Europe. Marklein, Mary Beth. (2016, January 30). Quality Assurance Cannot Solve Corruption on its Own. University World News. Marklein, Mary Beth. (2016, August 12). Experts Call for Action to Combat Academic Corruption. University World News. Marklein, Mary Beth. (2017, February). A Special Report on CHEA 2017 and CIQG 2017: Collective Effort Needed to Combat Academic Corruption in Quality Assurance in a Disrupted World. University World News, pp. 6-7. Martin, M., & Poisson, M. (2015, July). Corruption in Higher Education: Can Quality Assurance Make a Difference? CIQG Policy Brief, No. 5. Martin, Michaela. (2015, June). External Quality Assurance in Higher Education: How Can It Fight Corruption and Other Malpractices? Quality International, 6, p. 2. Martin, Michaela. (2016, 25-27 January). Quality Assurance and Academic Corruption: Accreditation and Academic Freedom: Can QA Make a Difference? [PowerPoint slides]. Mohamedbhai, Goolam. (2015, June 15). What Can Be Done to Tackle Corruption? University World News. Mohamedbhai, Goolam. (2015, July 26). Higher Education: A Hotbed of Corruption? Inside Higher Ed. Mohamedbhai, Goolam. (2016, 27-28 January). Fraud & Corruption in Higher Education: Why, How & What Role for Quality Assurance? [PowerPoint slides]. Mohamedbhai, Goolam. (2016, April 15). An International Coalition to Fight Corruption. University World News. Mohamedbhai, Goolam. (2017, May). Corruption in Higher Education: an Overview. IAU Horizons, 22(1) 23-24. The Observatory on Borderless Higher Education. United Kingdom. Okebukola, Peter. (2017, 31 January - 2 February). CHEA/CIQG Advisory Statement on Corruption in Higher Education: Who is Waking Up? [PowerPoint slides]. O'Malley, Brendan. (2017, July 14). Seeking Global Cooperation to Fight Corruption in HE. University World News. O'Malley, Brendan. (2019, April 13). Call to Fight the Spread of Corruption in HE Globally. University World News. Poisson, Muriel. (2013, January 31). Academic Corruption. [PowerPoint slides]. Poisson, Muriel. (2016, May). External Quality Assurance in Higher Education: How Can It Address Corruption and Other Malpractices? Quality in Higher Education, 22(1) 49-63. Quality Assurance Agency for Higher Education [QAA]. United Kingdom. Quality Assurance Agency for Higher Education. (2016, May). Plagiarism in Higher Education. Salmi, Jamil. (2017, May). Fighting Corruption in Tertiary Education through Good Governance. IAU Horizons, 22(1) 29-31. Sutherland-Smith, Wendy. (2014, February). Legality, Quality Assurance and Learning: Competing Discourses of Plagiarism Management in Higher Education, Journal of Higher Education Policy and Management, 36(1) 29-42. Thomas, Justin. (2019, March 6) Technology Has Fueled a Surge in Academic Cheating--It Has Also Made It Easier Than Ever to Get Caught. The National. United Nations Educational, Scientific and Cultural Organization. ETICO. University of Auckland (Stephens, Jason). (2017). Academic Integrity: Values, Skills and Action. [MOOC]. Uvalić-Trumbić, Stamenka. (2017, May). Combatting Corruption and Enhancing Integrity in Higher Education: An Advisory Statement for Effective International Practice. IAU Horizons. 22(1) 25-26. WCET, UT TeleCampus, and Instructional Technology Council. (2009, June). Best Practice Strategies to Promote Academic Integrity in Online Education, Version 2.0. [PDF file]. Boulder, CO. WCET. Williams, J. (2005). Plagiarism: Deterrence, Detection and Prevention. The Handbook for Economics Lecturers (pp. 1–19).